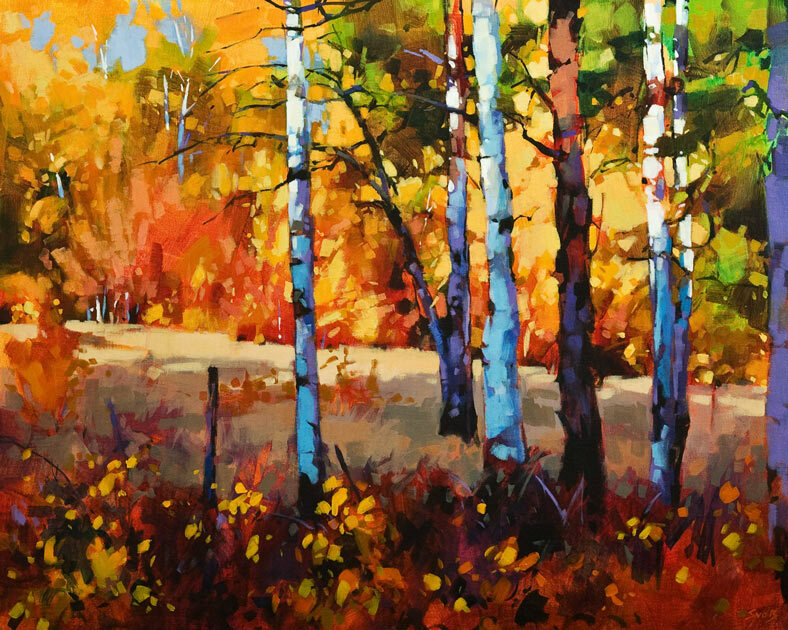 Mike has painted professionally for more than three decades. He is a romantic, impassioned by the visual presentation that life has to offer. 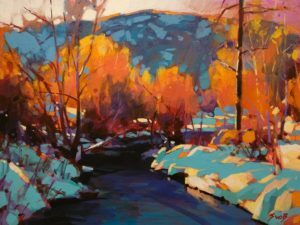 The power and movement of light is captured in his work, and nature interacting with people plays an important role in his art. Strong and bold colour is his signature. 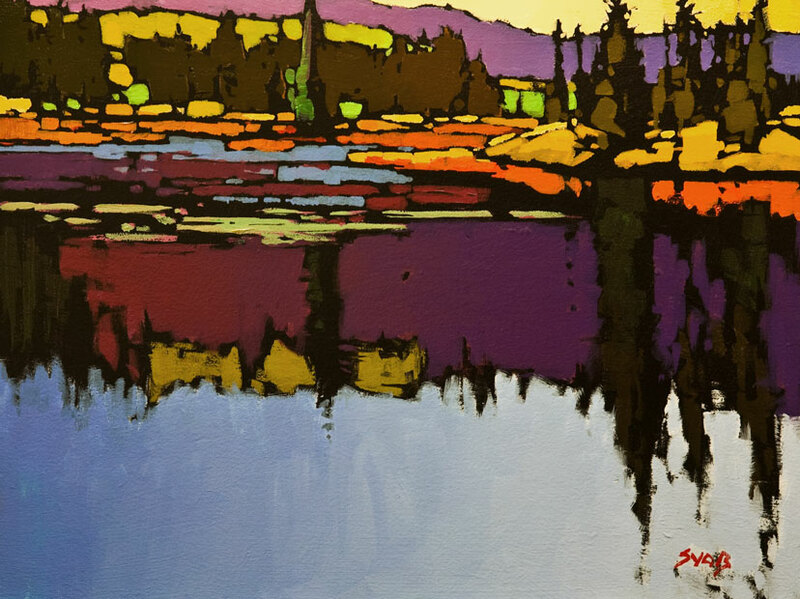 Born in Ontario, Mike now resides in White Rock, B.C. 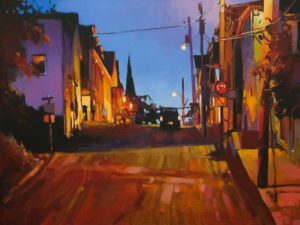 He is past President of the Federation of Canadian Artists, a SFCA member and has received many awards and important commissions. 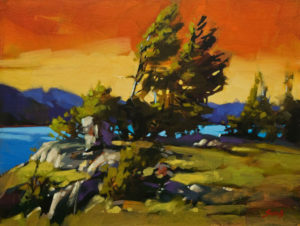 Mike Svob: West Coast Impressionism, from Magazin Art. 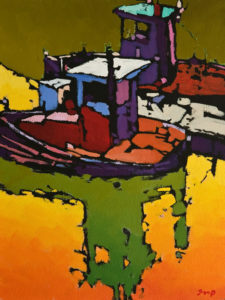 From Magazin Art (Fall 2004) courtesy of the publisher. 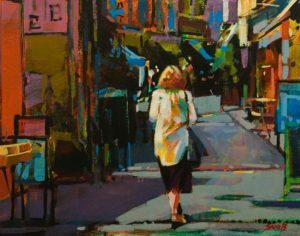 Article by Noel Meyer, drawn from an interview by Richard Waugh. 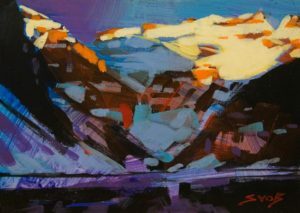 “Art is the ultimate form of human expression … and artists ultimately have the power to determine how we see the world.” – Artist’s Statement. 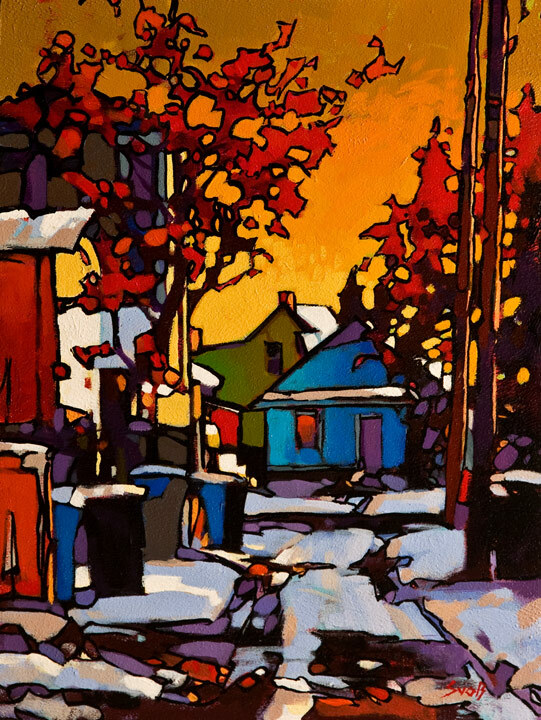 Mike Svob was born in Welland, Ontario. 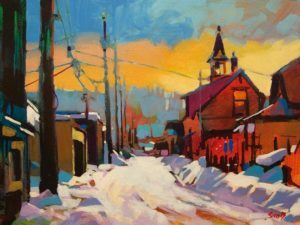 After completing his studies at the University of Western Ontario he worked under several established artists, including Canadian watercolourist Allan Edwards. 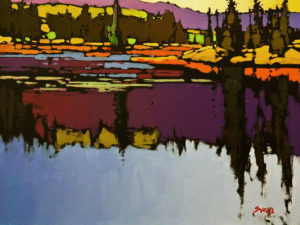 Svob and his wife Nancy moved to the West Coast in 1980 after falling in love with British Columbia. He made a name for himself early in his career by entering competitions and winning them. 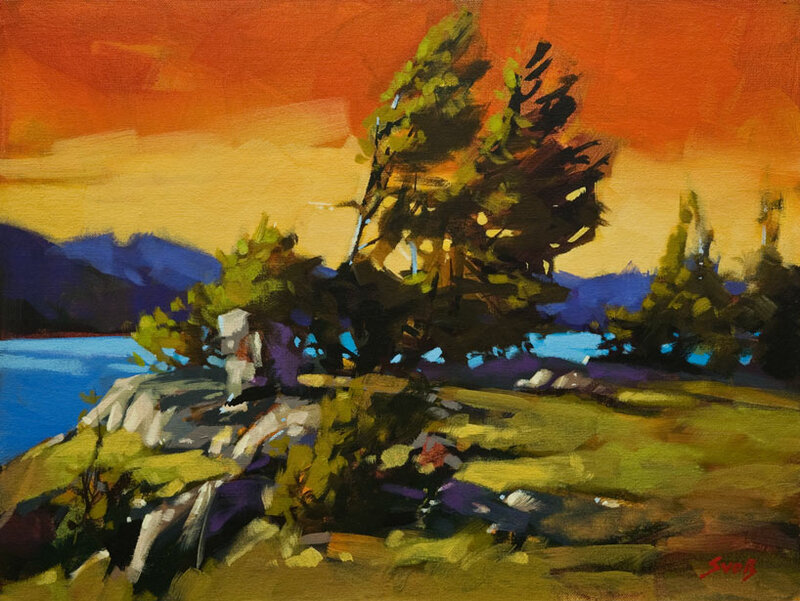 “I have always been deeply moved by landscape. 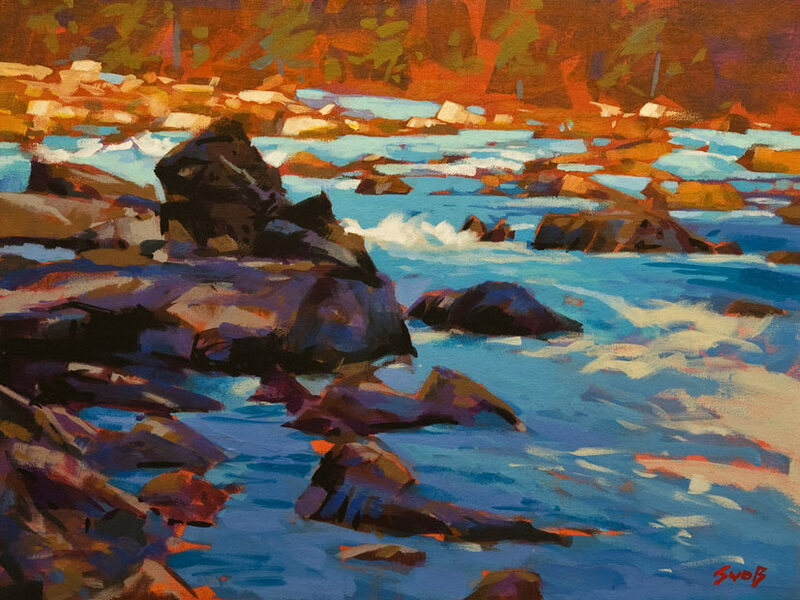 The play of light, the dance of the trees in the wind, the waves crashing on the rocks. 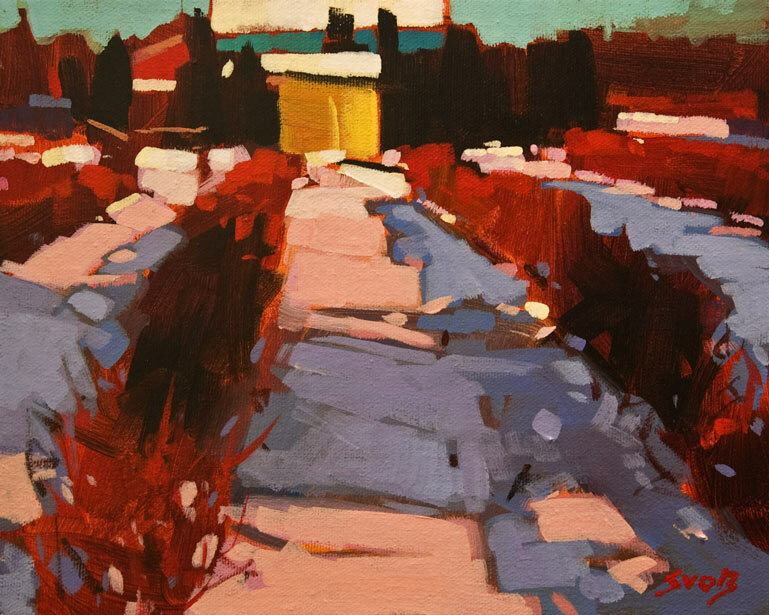 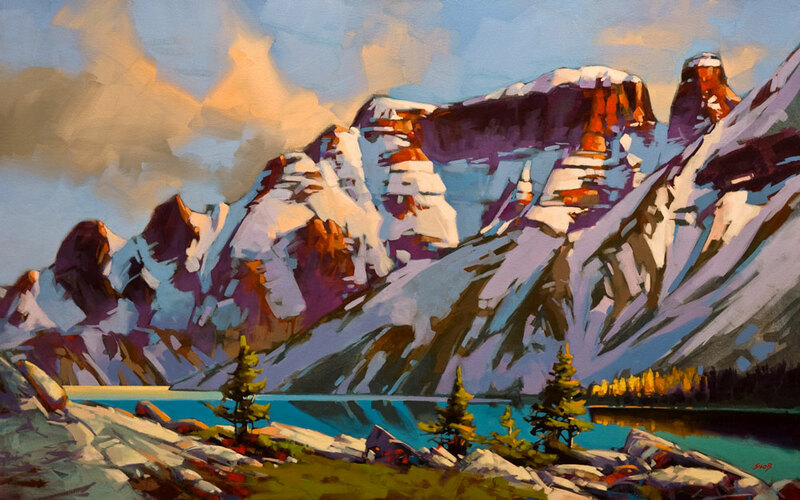 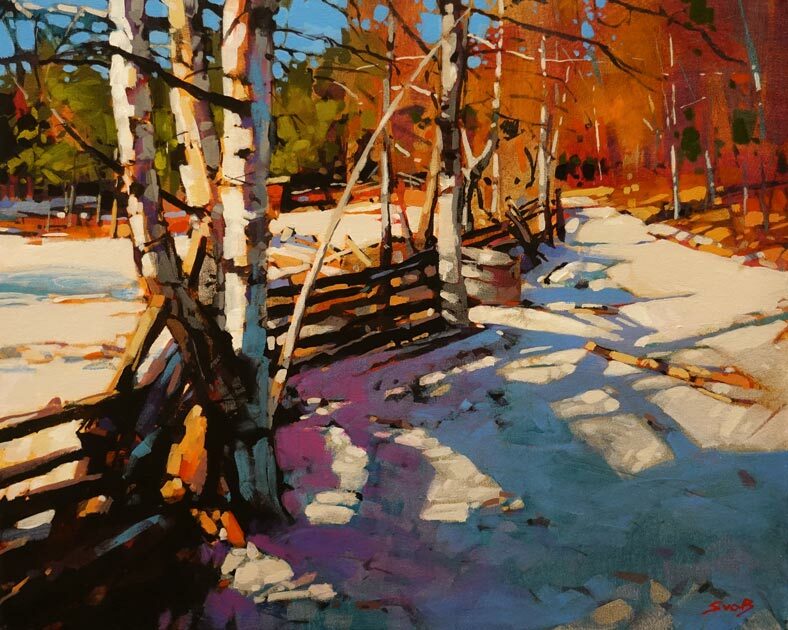 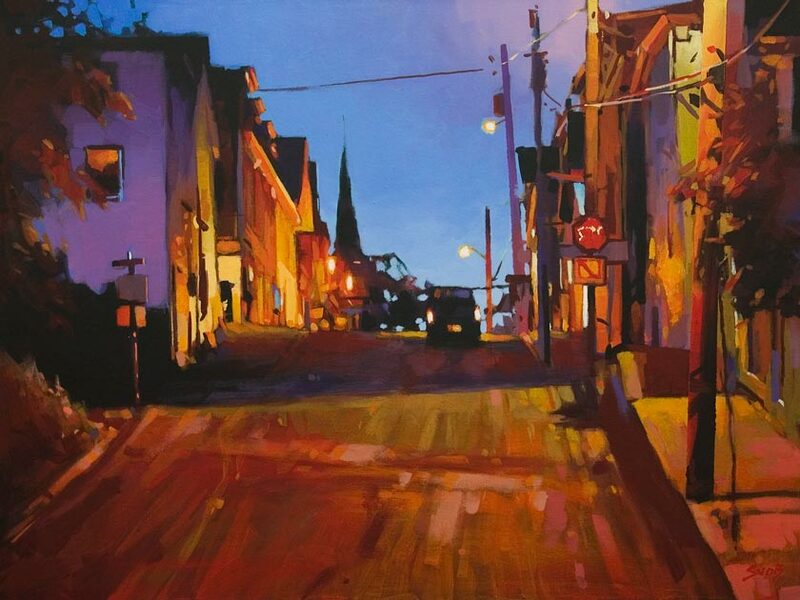 As an artist I try to capture these moments, distill out what is unnecessary and leave the viewer with an impression of the Canadian landscape that will endure through time.” The power and movement of light is captured in his work. Nature interacting with people plays an important role in his art. 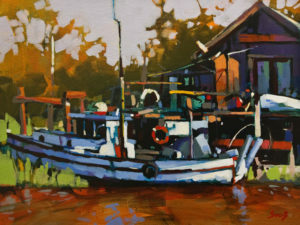 Svob has been a full-time artist since 1982. 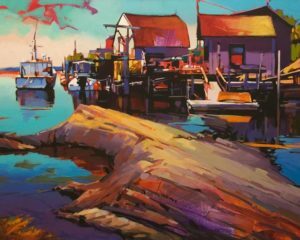 He has mastered watercolours, acrylics and oils and applies watercolour techniques to other mediums. Thanks to his signature use of strong, bold colour Svob has been identified as an impressionist. Early in his career his work was tight and realistic as he worked to perfect his technique; now it is more impressionistic. 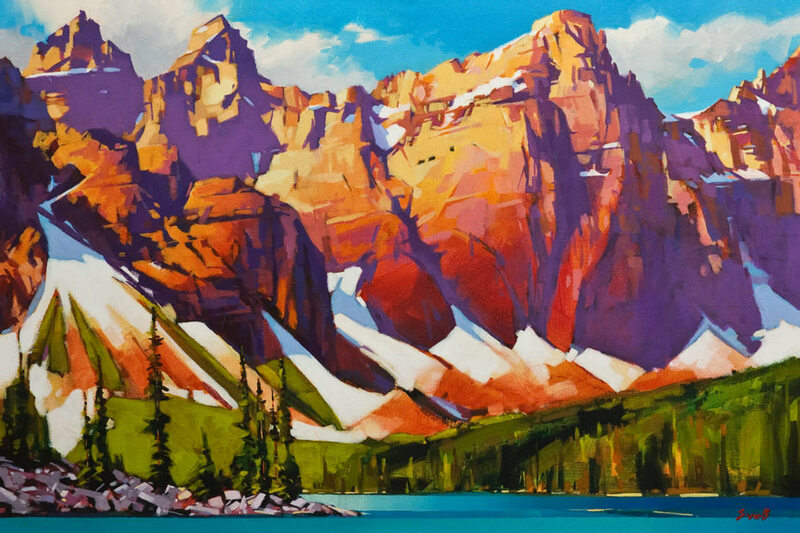 To date Svob has had over 50 exhibitions and has produced over 22 large-scale murals throughout North America. 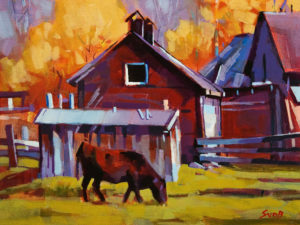 One mural done in his home town of Welland is a three-panel work depicting the local dairy industry. 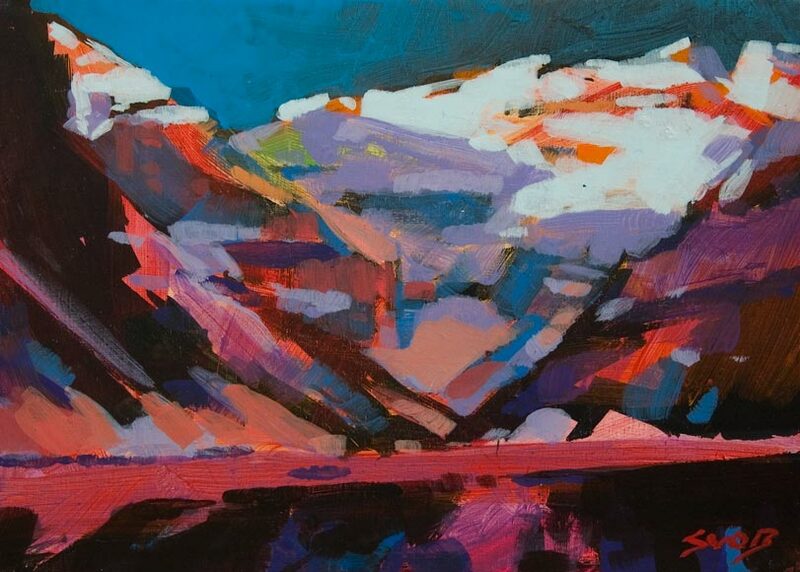 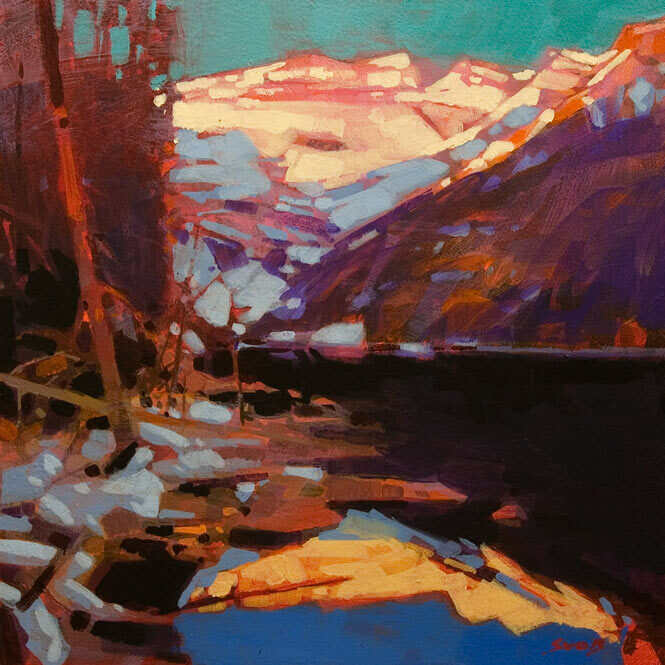 He is a past president of the Federation of Canadian Artists and a senior member (SFCA) of the society, an organization with more than 450 artists whose aim is to promote the work of B.C. painters and graphic designers. As an award-winning artist and a leading teacher and workshop instructor he has written three books designed to help artists improve their work. 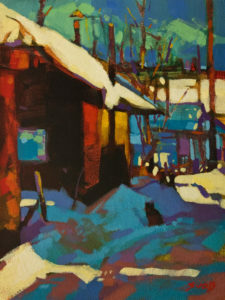 Svob’s choice of subject matter varies with what he is interested in at the time. 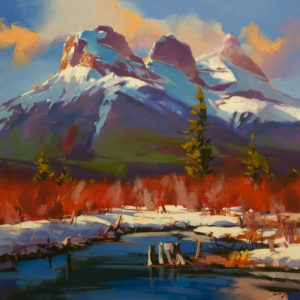 Once a week he paints from models to practice technique. 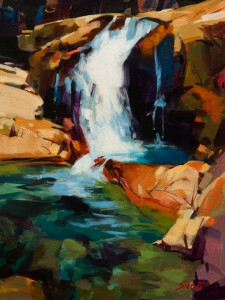 An avid hiker and mountain climber, he believes in location painting and enjoys travel. 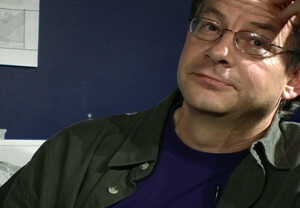 He would probably suffocate if he stayed in his studio for too long. 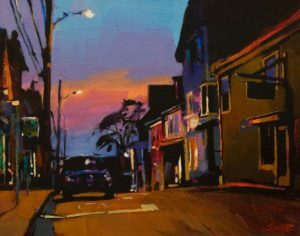 He has painted his way across Canada from the Queen Charlotte Islands to Peggy’s Cove. 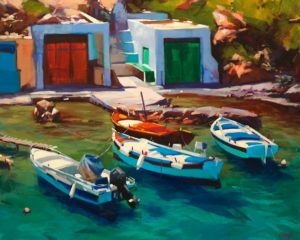 In 2004 he spent the summer painting in southwest England. As a teacher he juries and leads workshops in Canada and the United States. 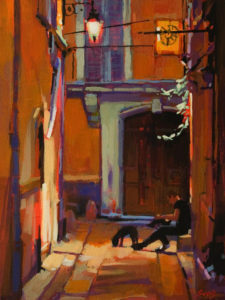 For 2005, Svob is planning workshops in Mexico and France. 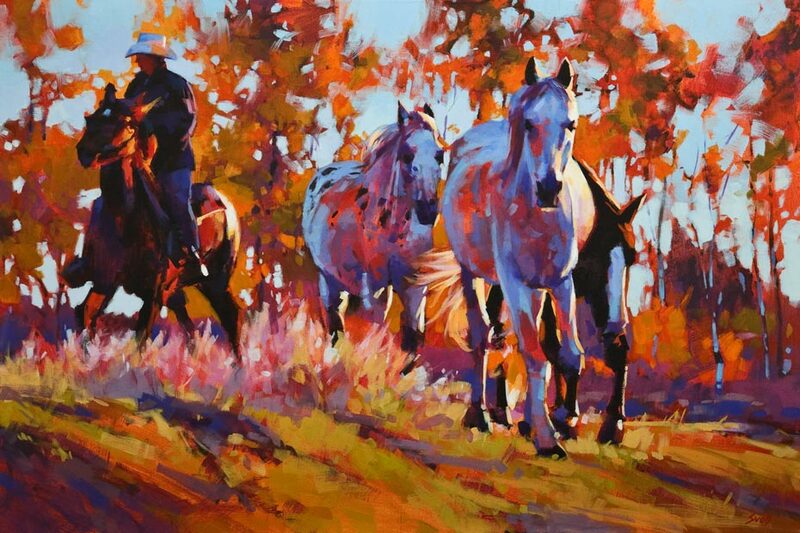 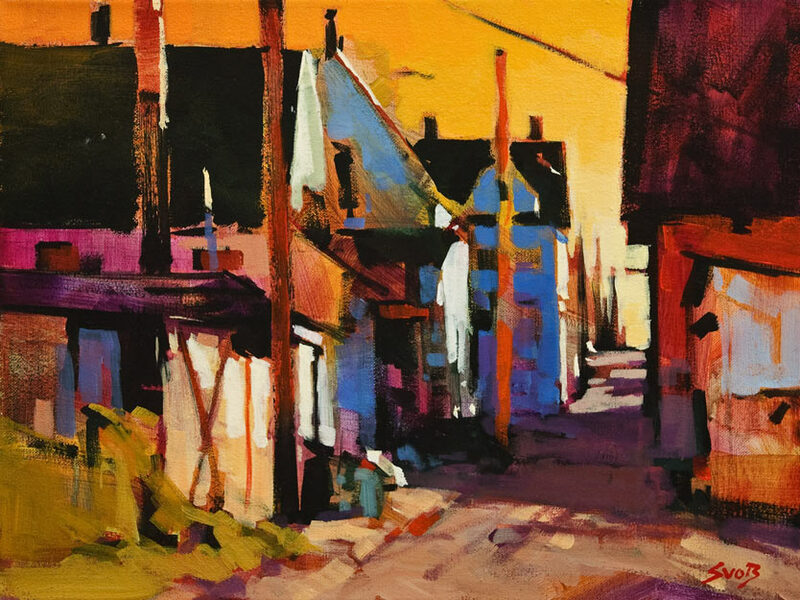 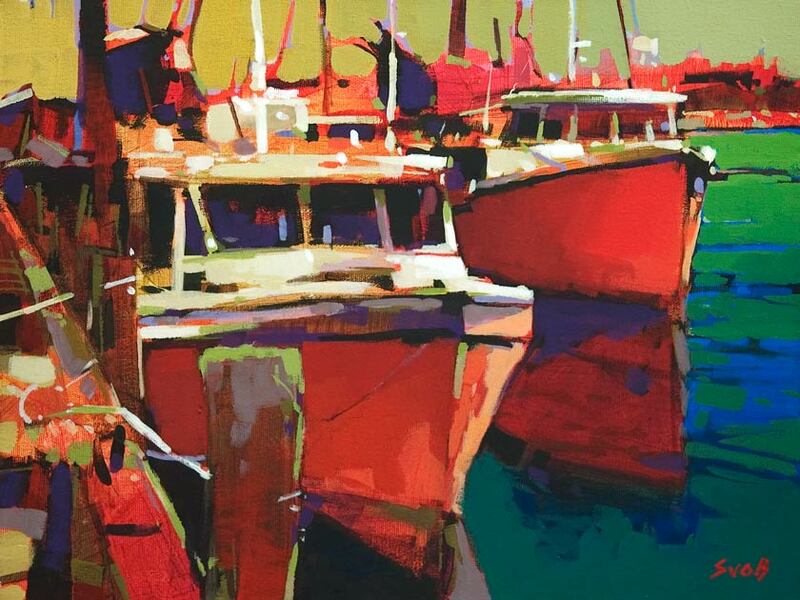 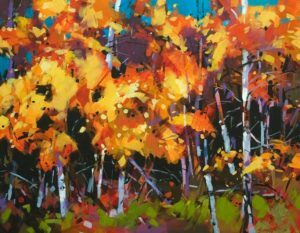 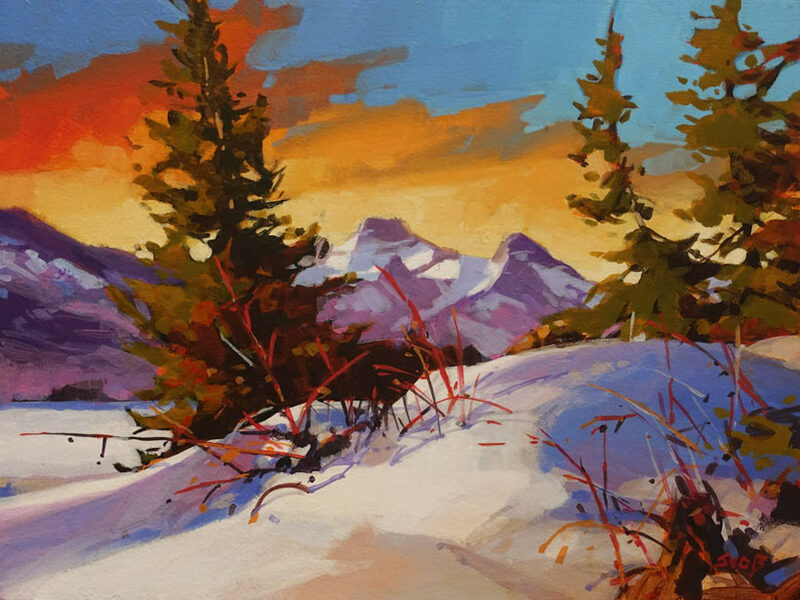 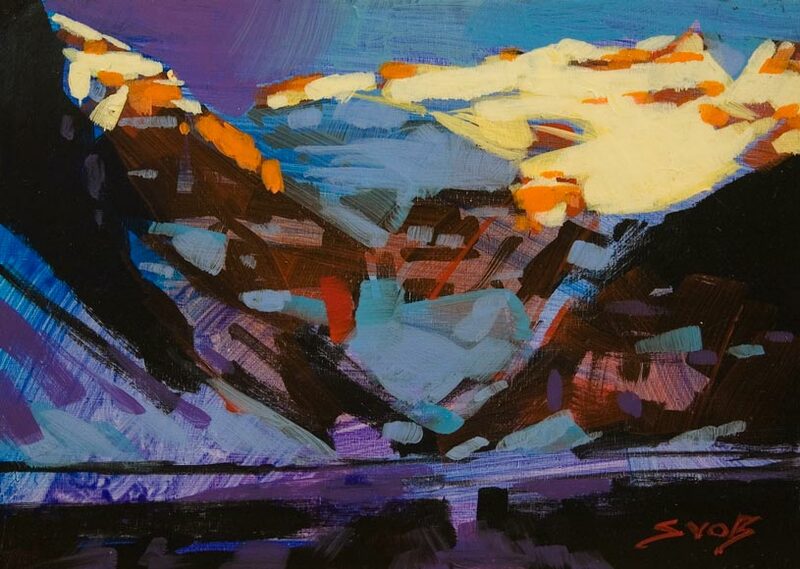 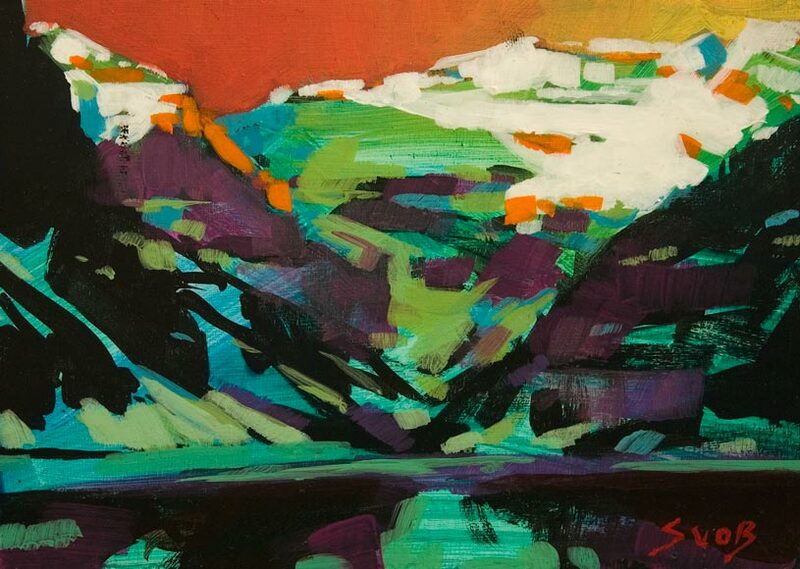 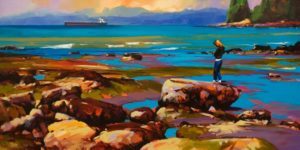 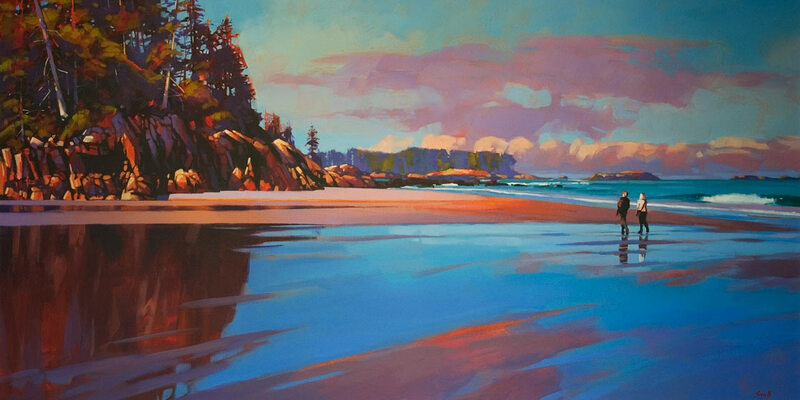 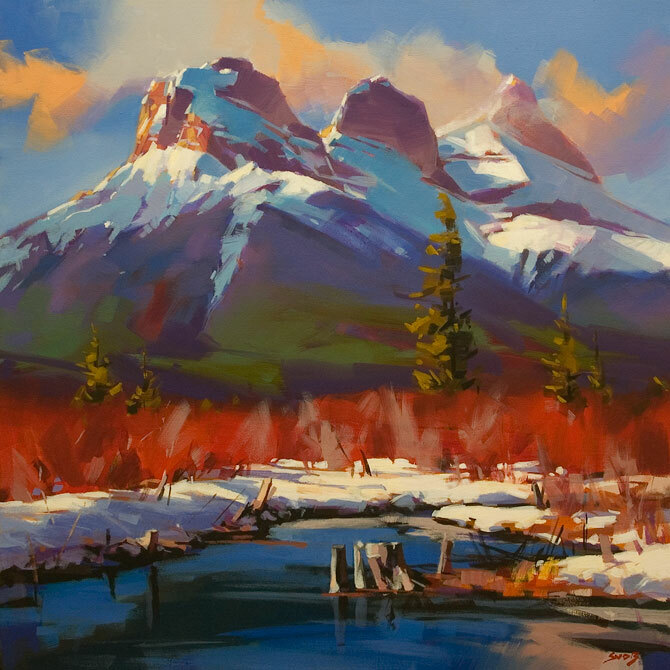 He is a regular instructor with the Federation of Canadian Artists and one of the perennial artists in residence each May at Painters at Painters Lodge, Campbell River, B.C. 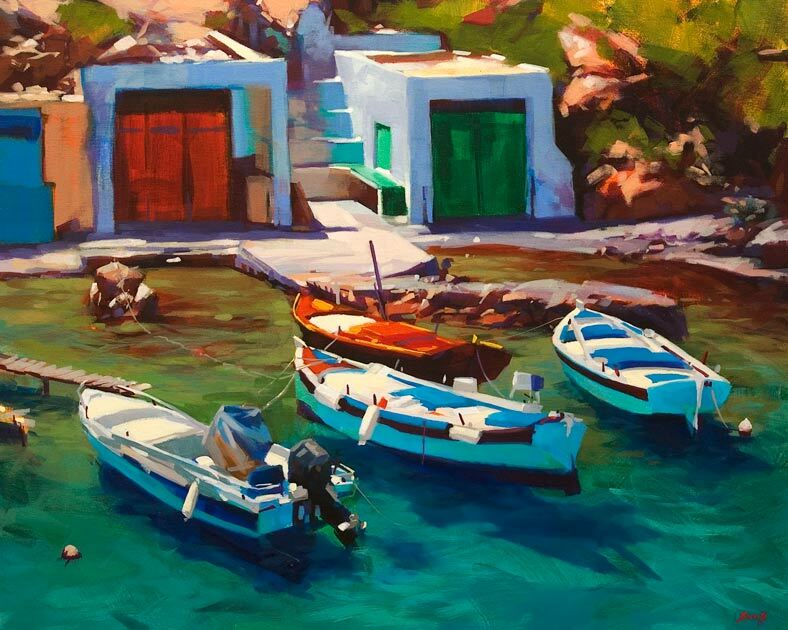 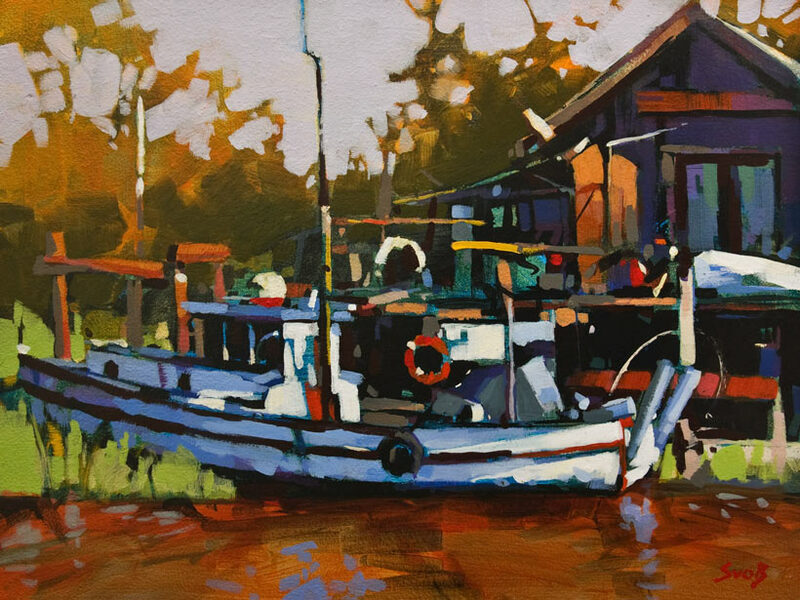 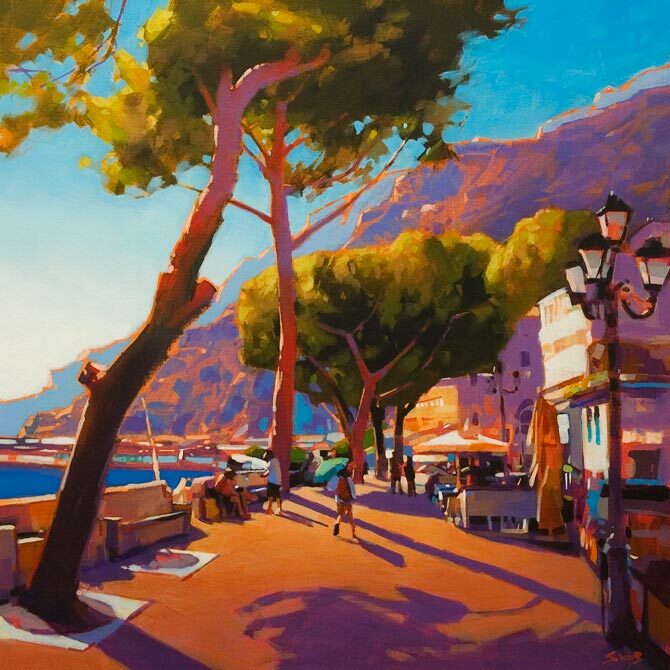 Svob’s usual way to start a painting is to pick a dominant colour like warm orange and as he goes along he uses colour to bring out interest in different areas of the painting. 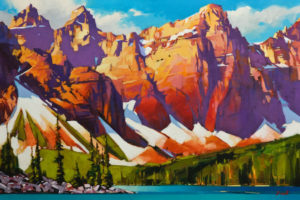 He will often underpaint in one colour to provide the finished painting with a greater impact. 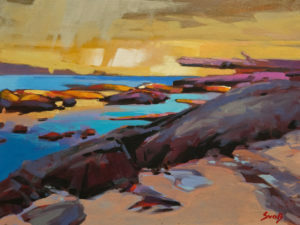 His palette is limited and made up of warm and cool yellow, red and blue usually topped with orange or violet to provide transparency or opaqueness. Some characteristics of his work are that he focuses on edges and how they melt in with one another and uses layers of paint to create an opaque or transparent glaze. Some artists want a painting to look realistic to the point that they don’t want to see the brushstrokes but Svob wants his work to look like it’s painted by a human hand. He wants his brushstrokes to be part of the painting like the ripples on the water. 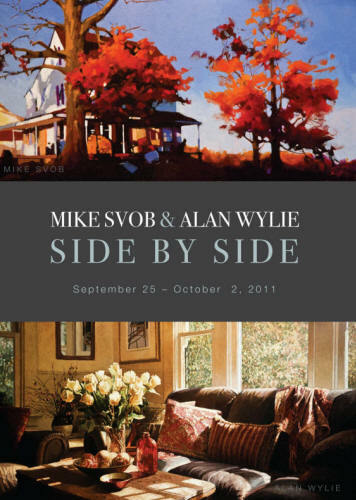 Mike Svob, his wife Nancy and their two children live in White Rock, British Columbia.